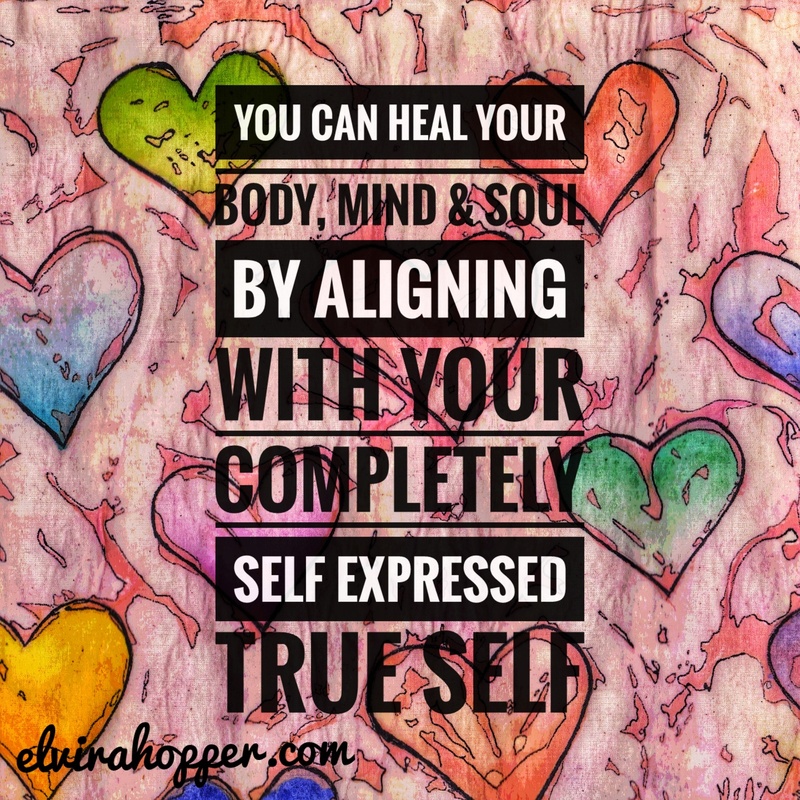 OK Elvira V….the message I was guided to share today is about how living in deep alignment with your true self can not only increase your happiness, but it can actually reverse dis-ease. My Story involves me living as an impostor first to please my parents as a lab technologist and then to impress society as a pharmaceutical rep.
Can you imagine my 27 years of inauthentic living, looking successful on the surface, yet feeling like at any moment someone would swoop in, call my bluff and drag me out of my work? I lived in fear and shame. As a result I was like a freshly planted tree, living as a phoney I had never developed deep roots. I was desperately pleasing everyone but myself, just to justify my existence & be loved. With no deep root system any wind could blow me away and it did. I got bullied and I acted out in strange ways, I looked old, I was sick a lot, I was a mess! My hefty paychecks kept me playing this charade year after year, despite my misalignment with my heart soul. My final 2 years of my 20 year, 6 figure award winning pharma career came my ‘blessed breakdown’; depression, anxiety, panic and suicidal ideation was my rock bottom. But guess what? It was JUST what I needed to escape my inauthentic life to live my truth as an artist and healer. I’m like a solid oak now…with deep roots…and no wind (mental or physical health issues, bullies..etc) can ever blow me away again. Most importantly, my suffering was not in vain as I now get to help my beautiful heart-centred tribe see that it’s NEVER too late to live THEIR truth and dreams, to discover that their mental & physical health issues can actually retreat too. Can you relate to my Story at all? If so…I’d love to hear it. Message me back! PPPS: My band ‘Heart & Soul’ makes it’s Oakville debut at The Vanguard Cafe tommorrow night (Saturday Jan. 26)! My dear friend Liana Gualtieri’s food is award winning and her fresh new locale in beautiful downtown Oakville makes for an ideal date night or fun night out with friends! Call Patrick @ 289-888-1881 to book your table…we would LOVE to see you!